I recently attended a conference with Mike and unwittingly provided him with a perfect anecdote for at least one dimension of how we run GWC. 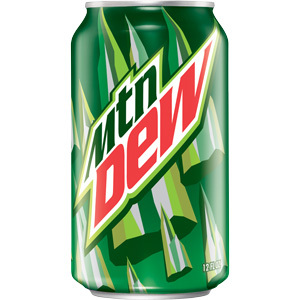 As a non-coffee drinker, I'm heavily dependent on a morning can of Mountain Dew just to get my internal engines started. When we entered the breakfast buffet area at the conference, I grabbed a can of Coca-Cola from the beverage cart before heading over to the main meeting hall. I had just popped open that Coke when Mike pulled up next to me and said "They must have known you were going to be here: There's Mountain Dew in the back of the room." Without thinking, I said, "Damn, I just opened a can of Coke - too late!" Mike initially started laughing at me. After all, it was just a can of Coke and any normal person would have simply discarded it and exchanged it for the delicious, tempting nectar of the gods that is Mountain Dew. But when he got done ribbing me for my thriftiness, Mike noted that my instinctive reaction, to not waste the soda, is analogous to how we treat expenditures in our company: We will happily spend money for a good return or to benefit customers, but we are exceptionally frugal when it comes to wasting anything. I'm not sure exactly where that originated, but I suspect it was instilled in me by my parents who raised me with sensible Midwestern values they grew up on as children in post-depression America in the 1940's. Smart spending, no wasting, no matter how insignificant. Probably not a bad perspective to have to drive the ultimate in efficiencies in any business. If you're a music geek, you've no doubt harbored fantasies of being in a world-famous, chart-topping band with legions of adoring fans following your every move. 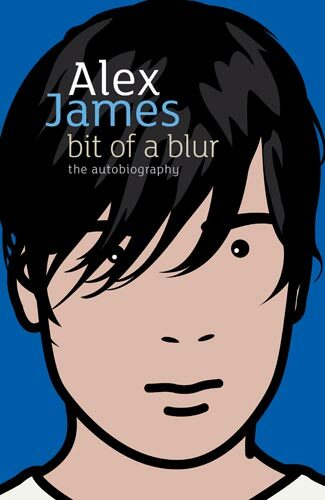 Alex James, the bassist for U.K. band Blur, lived the high life as a member of Britpop royalty in the 1990's and, despite a few hiccups along the way, makes it sound every bit as cool as you imagined! His book, "Bit of a Blur" describes the surrealistic existence of a rock star living in central London surrounded by musicians, models, comedians and assorted other cohorts. It's a fast-paced, hilarious read filled with lots of name-dropping that will give instant goosebumps to indie music fans (e.g., running into Kevin Shields of My Bloody Valentine the morning after a particularly raucous gig in New York).